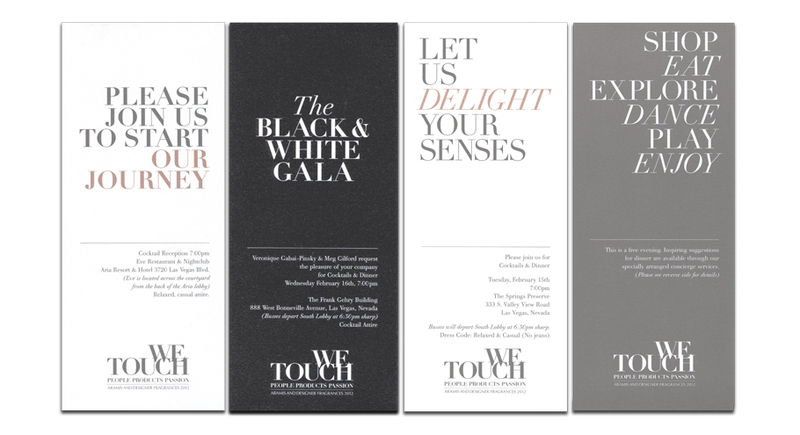 Event design, brand identity and print collateral for a world famous cosmetic company. 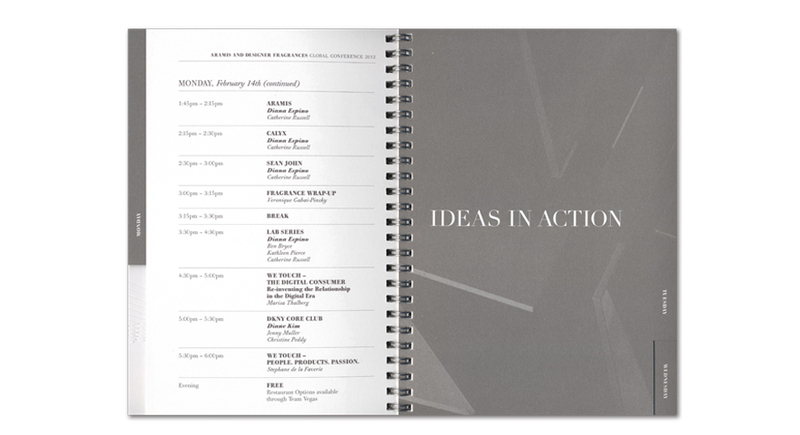 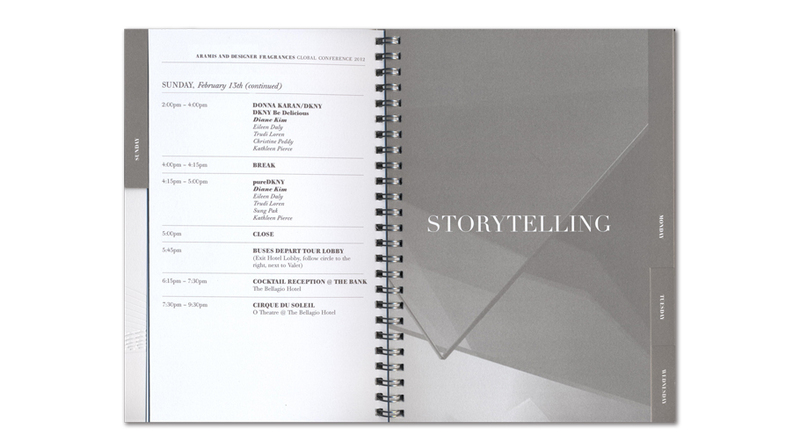 Estée Lauder Companies’ Aramis and Designer Fragrances Group were holding a global marketing conference in Las Vegas and asked us to create the visual components of the event. 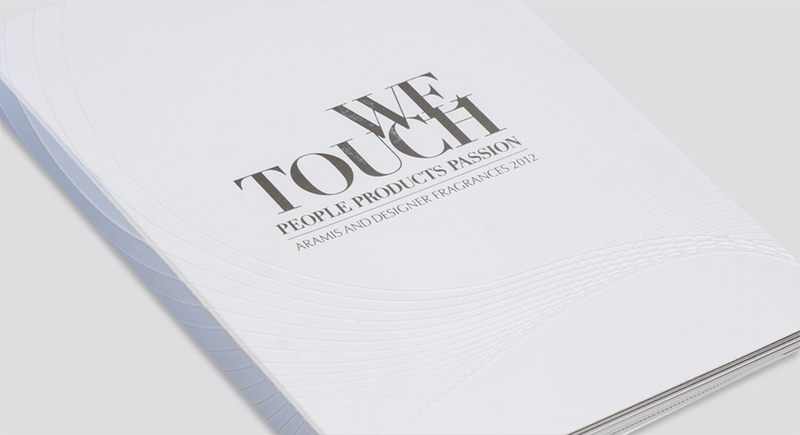 We elaborated on the conference theme — “We Touch – People, Products, Passion”, telling stories through fragrance, and transporting people into a world of magic and emotion.